Allows you to be different than ALL of the other mainstream retailers. Have a higher perceived value at retail. Great extension to your existing product line. Customers get a unique tangible item that reminds them of the great experience they had at your location. Complete help with our in-house Design Team, which includes fabric selection and color palettes. Designs for large & small customers. 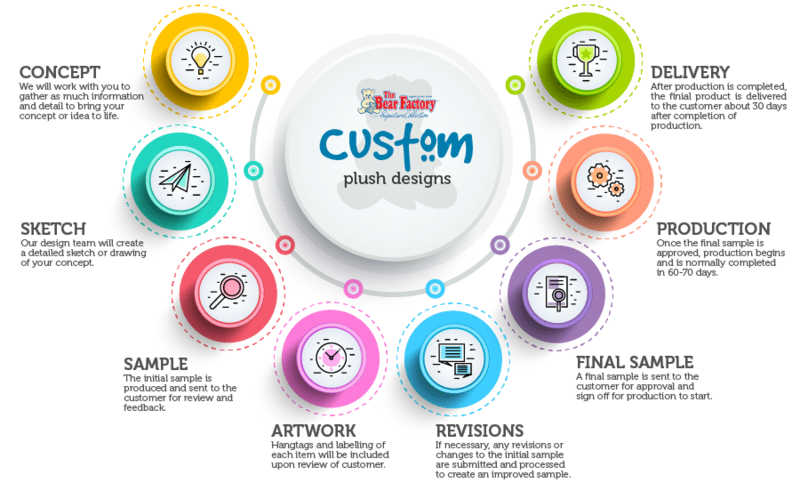 After we gather the specifics of your custom plush and/or clothing project, The Bear Factory will manufacture a production quality prototype sample. 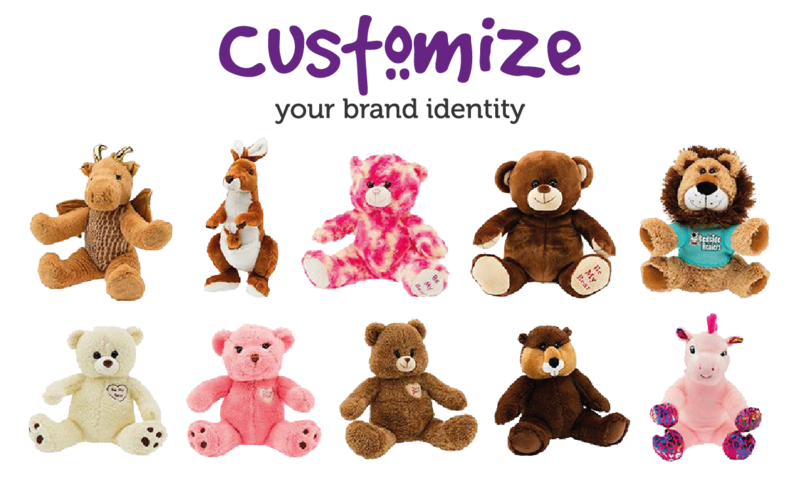 We have worked with some of the largest retailers worldwide to design our custom Plush & Clothing items. Every project is different, and we work with our customers to create a process that works for them.